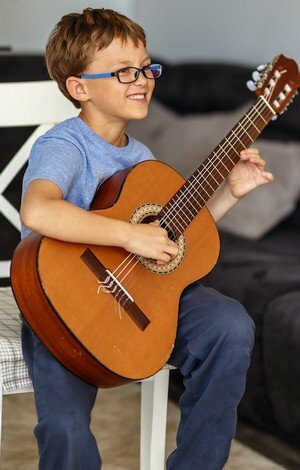 Cherry Hill Academy of Piano & Guitar! 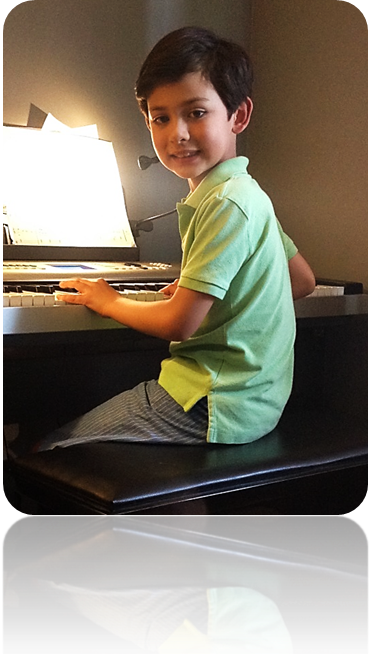 Our son Christopher has been taking piano lessons for more than 3 years now from the Cherry Hill Academy. His teacher, Mr. Guy, always makes the lessons informative and enjoyable. 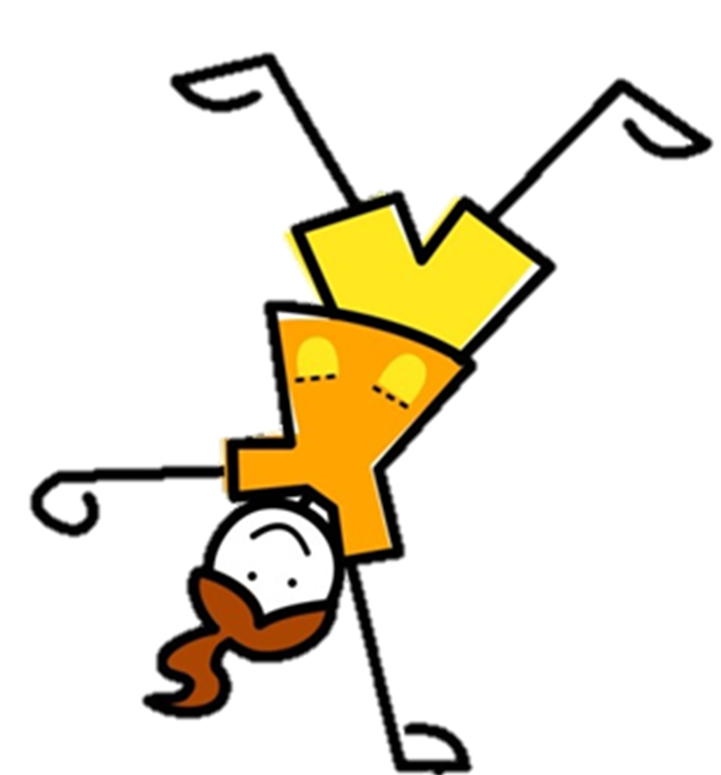 Initially, Christopher just dutifully went through the motions his first several months of lessons. But then Mr. Guy figured out that Christopher kept humming songs from the Star Wars movies and decided to try something new.Mr. Guy printed out several of the theme songs from Star Wars and Christopher became hooked on the piano. 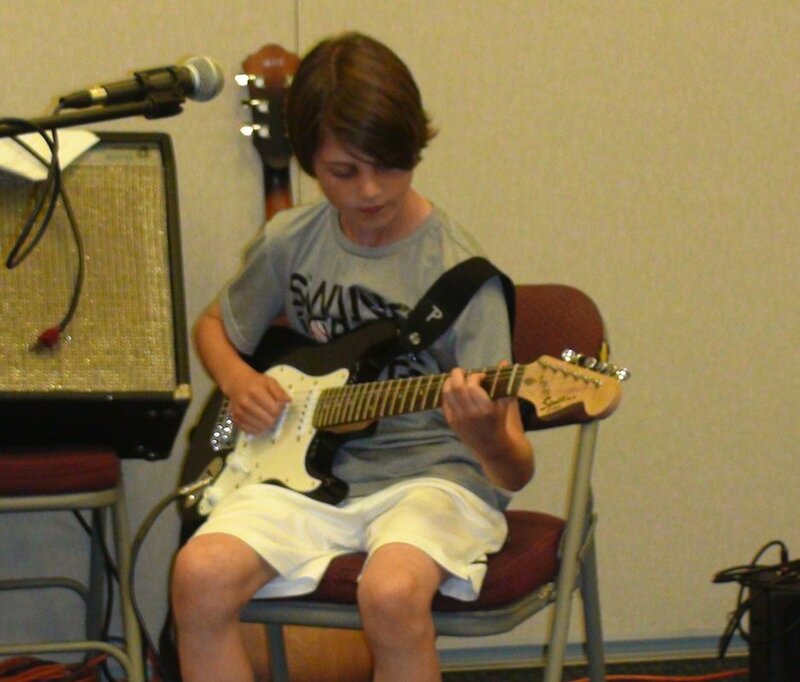 As a result, Christopher played a Star Wars medley at the summer recital that year. Through this tactic, Mr. Guy successfully attracted Christopher to the piano and soon introduced him to other music. Another example of the wonderful instruction from Mr. 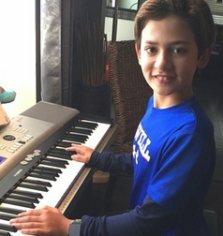 Guy and the Cherry Hill Academy is as Christopher developed his skills on the piano, it was obvious that more challenges were necessary. After a couple more lessons, Mr. 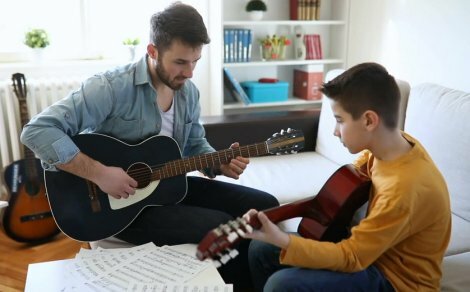 Guy decided that Christopher would learn best from the “chord method”. Once again, when Christopher found out he could succeed through this teaching strategy, his interest again intensified. As he improved, Mr. Guy began to give Christopher more diverse and interesting music. 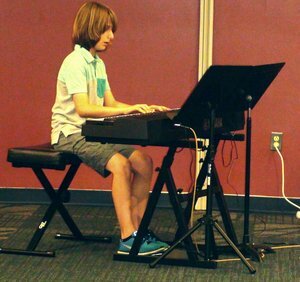 As a result, Christopher managed to play “Ode to Joy” at this past summer’s recital and played it nearly flawlessly. Again, this success was due to Mr. Guy’s ability to find just the right method for his student. 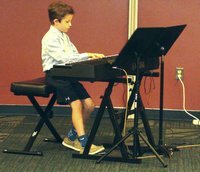 As for recitals, when Christopher was six years old, he played all of the correct notes at his performance but was so nervous he could barely be heard by the audience because he touched the keys so gently. Before this year’s recital, Mr. Guy gave him the guidance to perform with much more confidence. The performance was a great success and much of that was due to Mr. Guy’s instruction. As the years have passed, our son has developed a wonderful relationship with his teacher. Whenever Mr. Guy arrives at our house, Christopher always runs right to the piano and begins playing his piece. 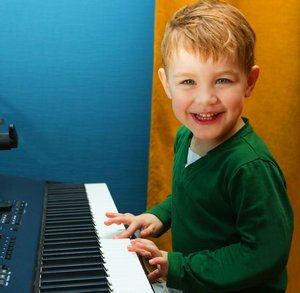 Many times, he will play around on the piano on his own after he practices his lesson. 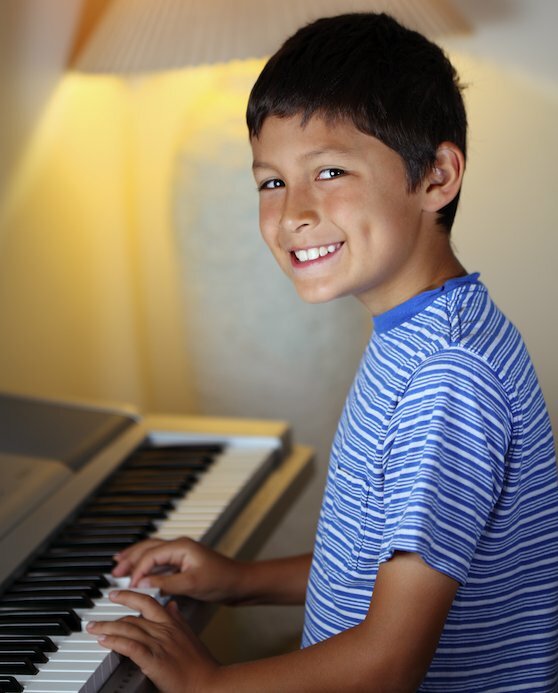 Christopher has developed an interest in playing piano and really enjoys his sessions with Mr. Guy. We wholeheartedly recommend Mr. Guy and the Cherry Hill Academy. Laura is a great teacher because she uses new techniques and understands my strengths and weaknesses. I've learned more about the black keys and pedals than before from Laura. She answers any questions and explains in ways I understand. She gives me tips on how to practice my timing and breaks down the piece for me. I always look forward to my lessons and love learning new things from Laura. Great Experience With Nanci ! 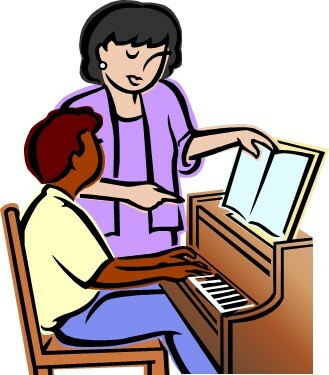 I have been very pleased with the piano lessons my daughter is receiving through Cherry Hill Academy. 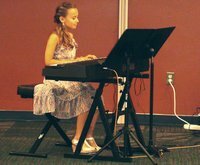 Her teacher, Nanci Wright, works well with my daughter and gives her a great selection of music to play. 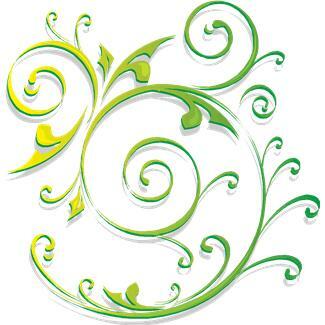 We are also very happy with the convenience of having the lessons in our home. The piano lessons have been a great experience. 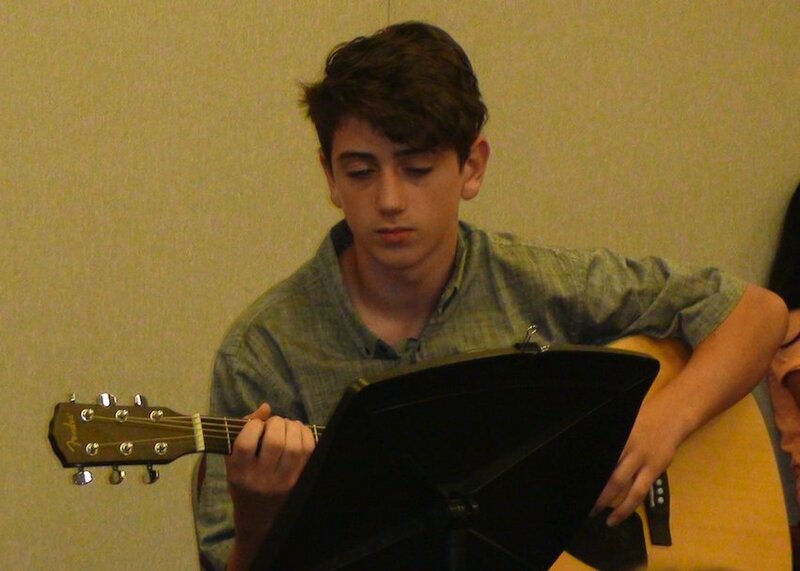 My son takes guitar lessons from Chris for last 2 years and I cannot say enough positive things about him and his teaching. From the start, my son connected with him and I was so happy to find a teacher he could relate to. He is patient and a wonderful mentor to his students. 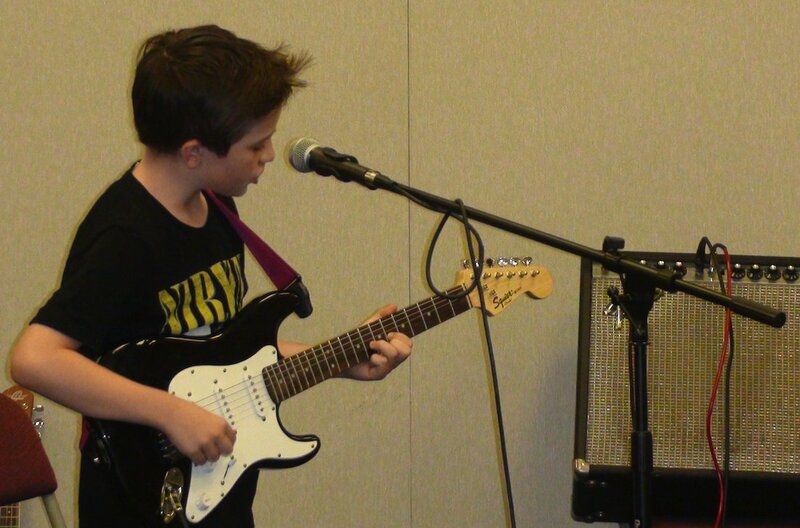 With Chris's teaching style, my son was motivated to keep building on his skills. 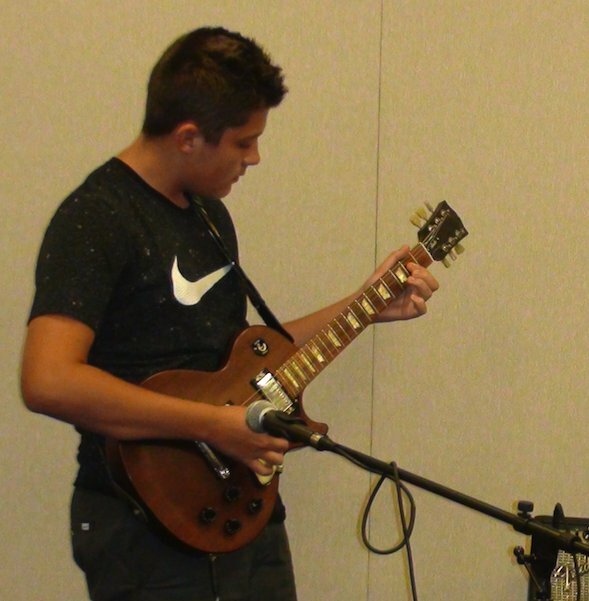 Chris has the unique ability to share his love of music and the guitar through his exceptional teaching. Laura Is A Fun Piano Teacher ! 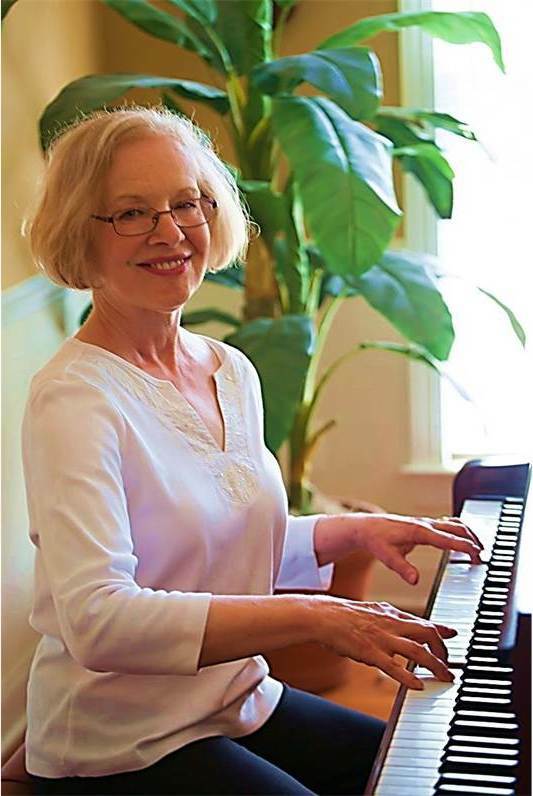 Laura is a really fun piano teacher and she helps me fix my mistakes. She answers all of my questions and I learn new things every Tuesday. I think she is a great teacher. Patience and Guidance . . .
My daughter Juliana is in her second year of guitar lessons. Her teacher Chris is doing a great job! We can't say enough about him. He really has the patience and guidance to help her get to the next level of guitar playing. I am amazed at how far she has come, I know I would love to even just be able to read music, let alone play the guitar. Looking forward to another great recital! 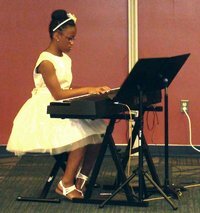 My daughter, Alicia, has taken piano lessons at the Cherry Hill Academy of Piano & Guitar for 2 years. I have been so pleased with her experience and her progress. 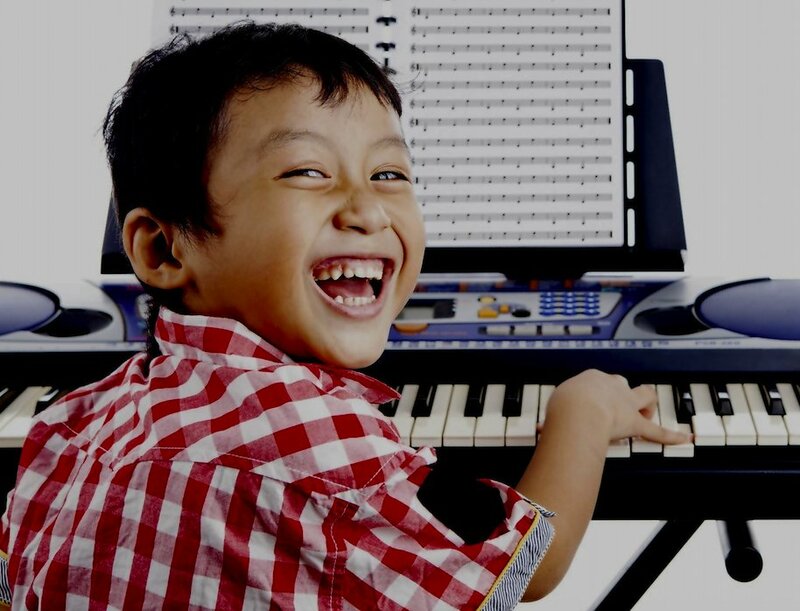 Guy does an amazing job of teaching the love of piano, improvisation, music theory, and good musicianship while keeping the lessons engaging and fun! Alicia is comfortable playing both sheet music and from memory. Having taken lessons myself I love the way that Guy teaches both traditional and more modern music approaches. We are very pleased with the entire experience, and my youngest daughter will be starting lessons too! I met Guy at the Cherry Hill Academy, after having stagnated through multiple piano teachers over a course of many years. Through innovative techniques , Guy was able to provide me with a new perspective, allowing me to visualize the piano in a new manner. 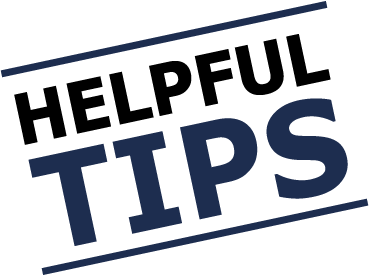 Quickly, I was able to understand piano theory which made learning new music easier and enjoyable. I found my songbook expanding rapidly, often playing spontaneously for hours. As an adult student, I have found Guy and the Cherry Hill Academy to be flexible, frequently tailoring his approach to my needs and time constraints. My daughter, who is also involved in numerous activities which competes for her time, takes lessons as well . 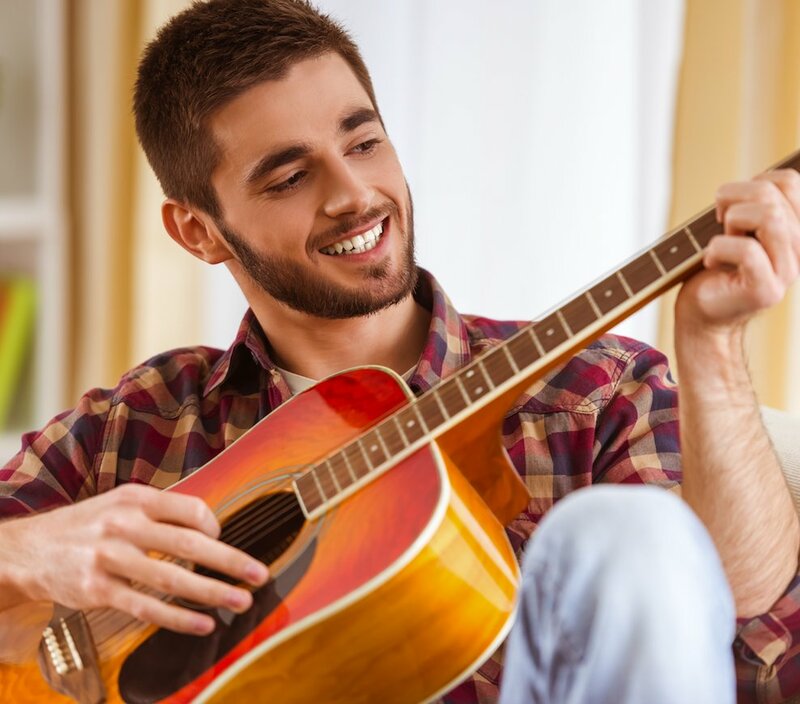 Guy is able keep her interested by allowing her to play music she enjoys without compromising basic exercises and technique. Thus she has shown steady improvement over the last few years and continues to enjoy playing without "burning out" . I strongly endorse Guy and the Cherry Hill Academy. I have stayed with them for the last three years and intend to continue for many more. 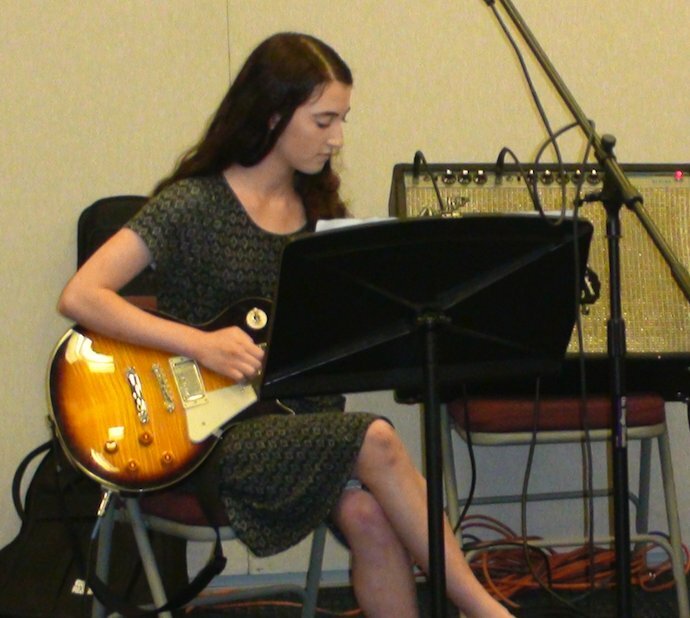 My daughter has been taking guitar lessons with Chris for the past five years and he has been nothing short of a wonderful teacher. Chris has a wealth of knowledge of music and easily imparts that information and skill to his students. When it came time to buy a new guitar, Chris met us at the guitar store and literally stayed with us for HOURS helping Rebecca to decide which guitar was best. 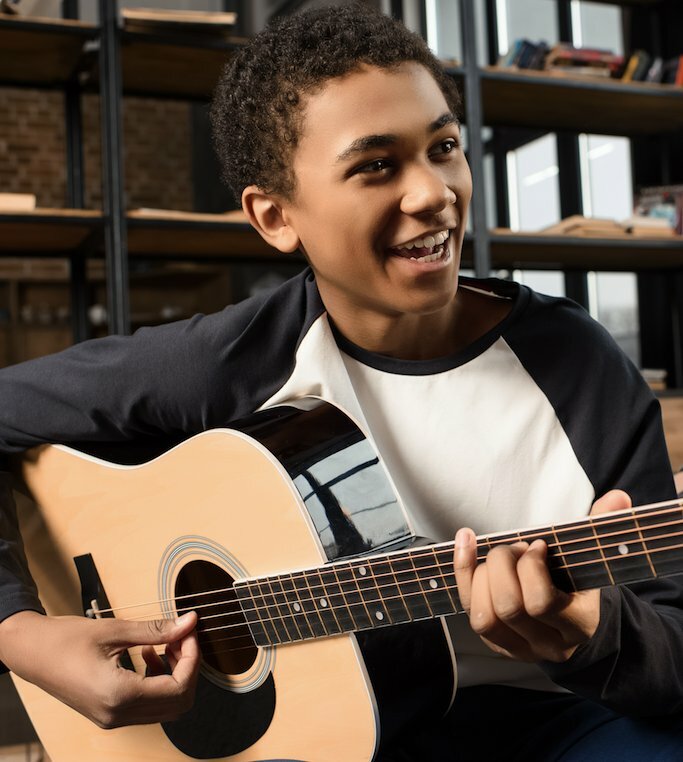 His laid back personality and patience has made Rebecca’s experience with guitar lessons to be extremely positive and has helped to shape her love of music. Friend is taking lessons too! 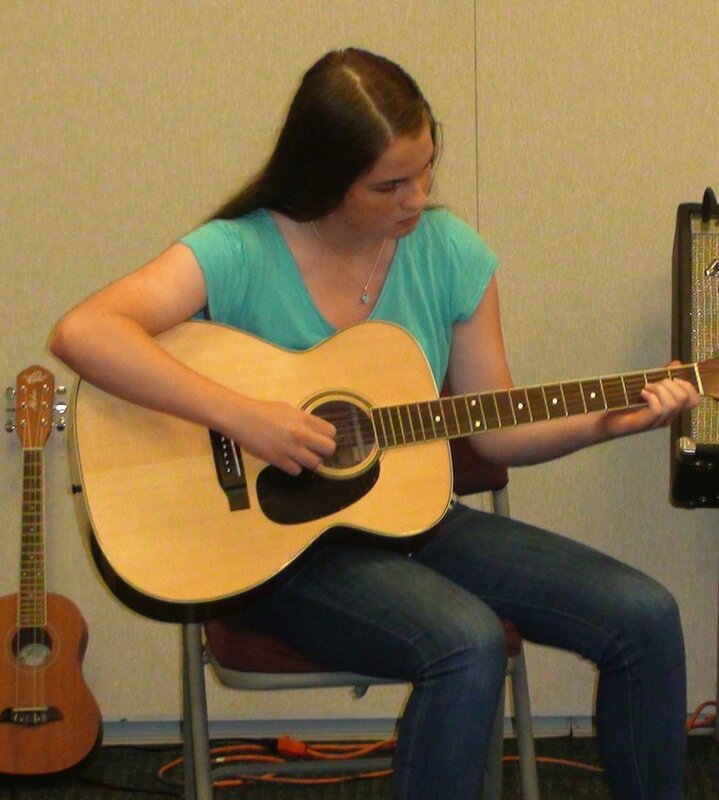 Our daughter Angela has been taking lessons from the Cherry Hill Academy of Piano & Guitar for almost three years. 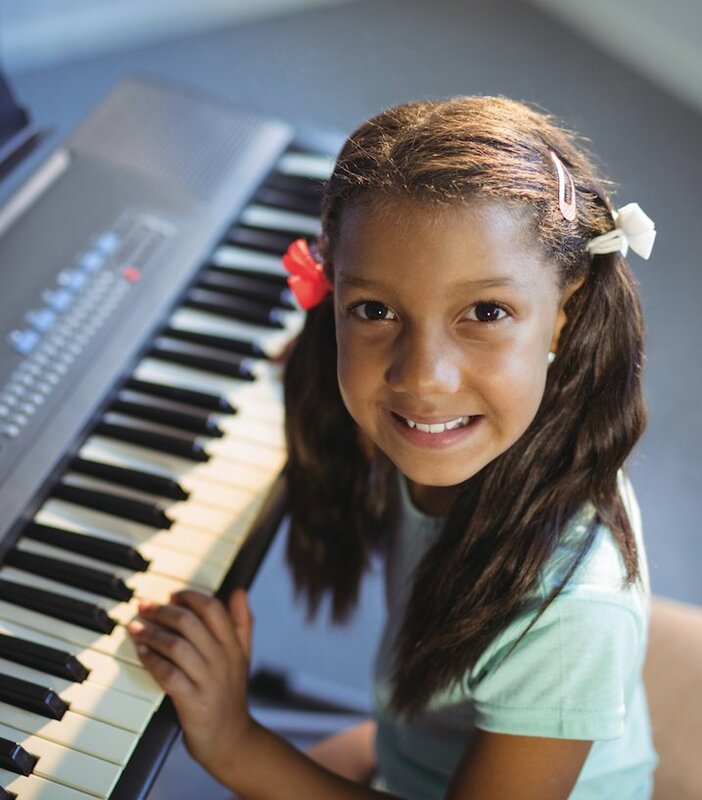 Angela’s piano playing skills continue to improve as she enjoys learning new music theory and songs. Her teacher Guy demonstrates a passion about music, which Angela has soaked up. Guy possesses the right amount of knowledge, patience and flexibility that makes the lessons both challenging and fun. One day a friend of hers was over during a lesson and now her friend is taking lessons with Guy as well! 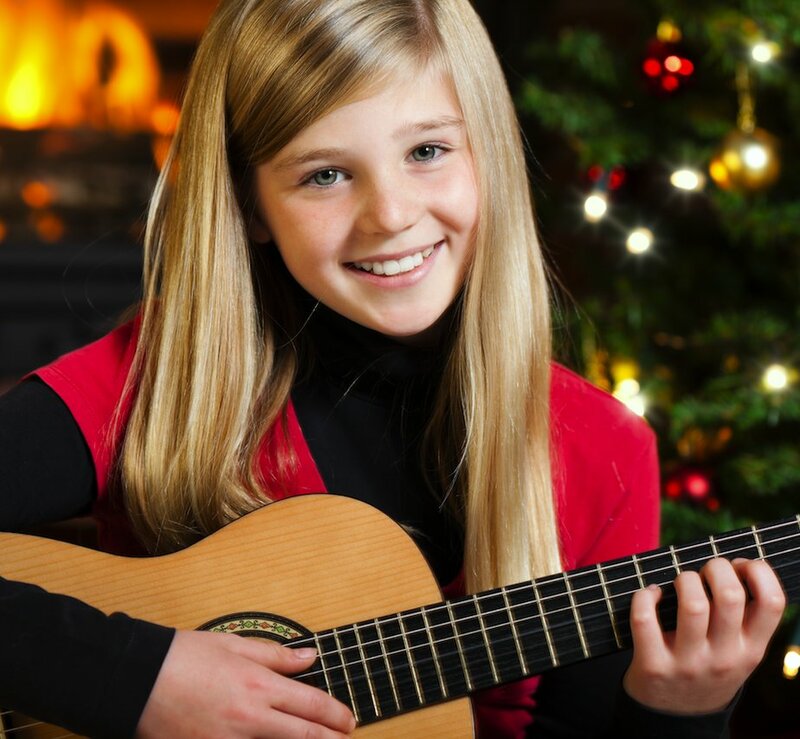 My daughter, Ava, began receiving lessons with the Cherry Hill Academy of Piano & Guitar when she was 5. My son, AJ, began lessons when he was six. They are now 9 & 10 years old and are still going strong with the help of Guy Faux as their instructor. Guy has shown incredible patience in dealing with my children during this learning experience. I’ve been especially impressed with his teaching style, which appears to be student centered and when needed, customized to each learner’s strengths and desires. The book series that he uses follows a logical pattern to help build upon each new acquired skill. However, in addition to the books, Guy knows how to change plans when things aren’t going too smoothly. 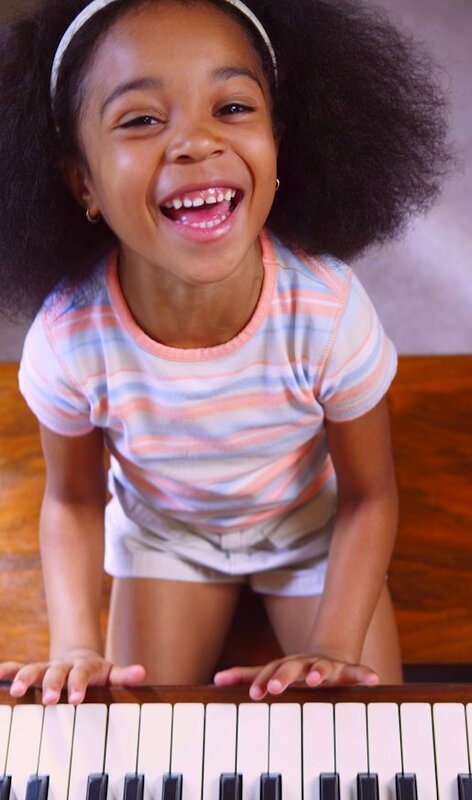 This method has helped to keep my children motivated to continue to grow and learn. My husband and I are happy because when Ava and AJ expressed an interest in learning some Beatles pieces, Guy brought the music and now we get to hear some favorite tunes while they practice every day. 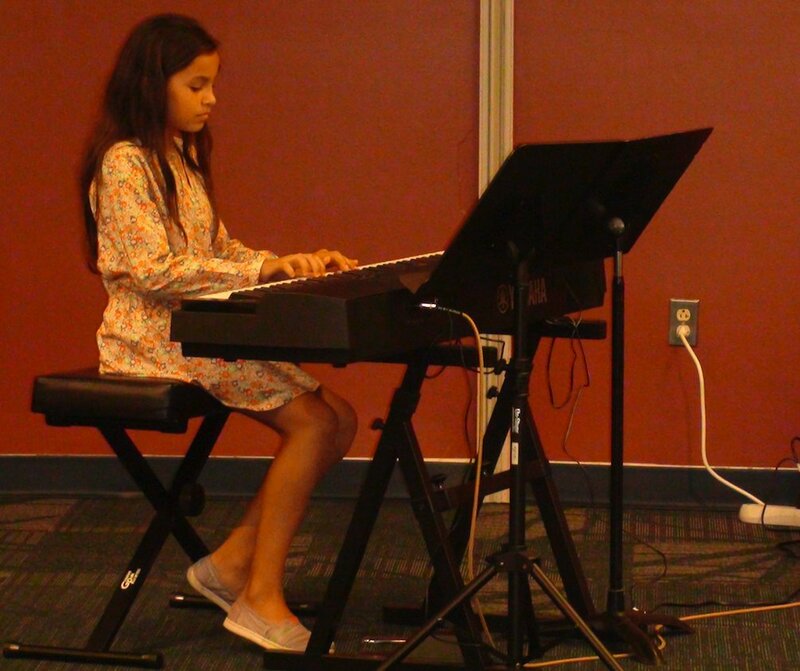 In addition to lessons, my children have also been able to participate in yearly recitals. It has been remarkable to watch the students come together, get past their jitters and show what they have learned. This has proven to be an invaluable experience for them to gain confidence and support a positive self-esteem that will hopefully follow them for life. 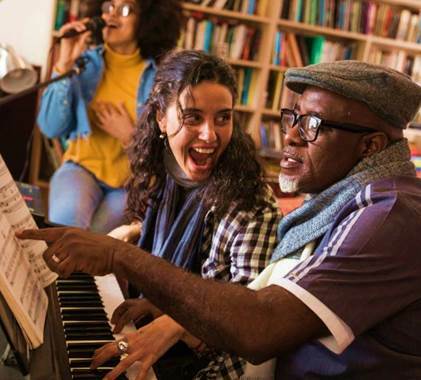 It is well known that music affects the body and mind in many powerful ways and is used as a form of therapy for healing. Being encouraged by my 11 yr old daughter playing piano, having learned from Mr. Guy from the Cherry Hill Academy, I decided to take lessons a year ago. I realize it is a great way to alleviate stress from work and a great form of relaxation. I have not set any goals nor pressurize myself to practice, but I find it very rewarding when I can play a piece. Mr. Guy is very patient and accommodating. It's a luxury to not have to travel for lessons. I took guitar lessons in the past and got very little more than what the internet could provide me for free. 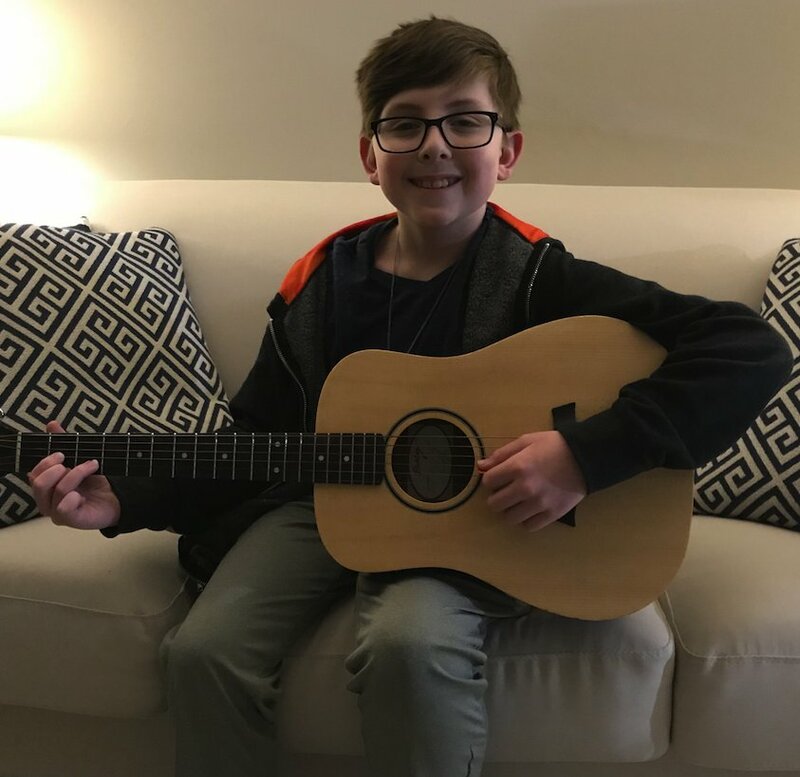 I now take lessons with Chris from Cherry Hill Academy of Piano and Guitar and I am finally learning the language of music. 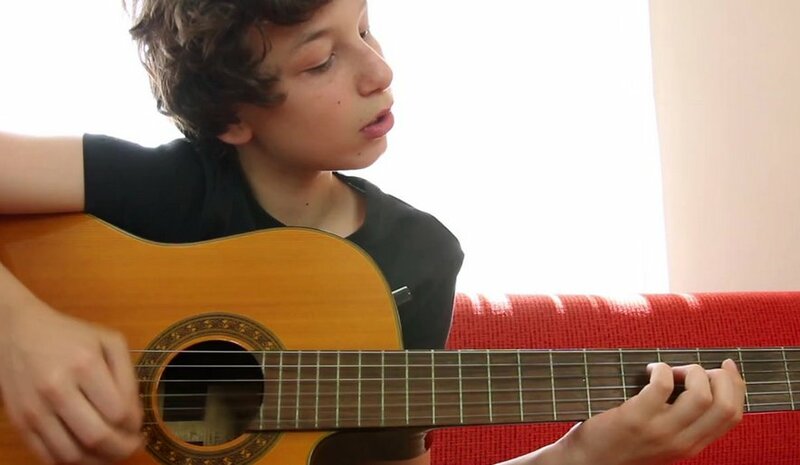 Chris balances his lessons with guitar studies and popular songs. He meets your skill level where its at and has appropriate expectations for progress. I've been continually improving at reading, understanding theory, and playing in my six months of lessons with Chris. This is the way I wanted to learn years ago.